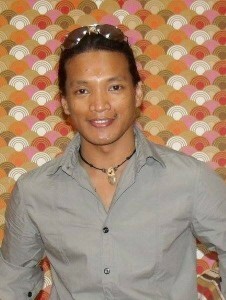 Emmanuel Nim was born in Polomolok, South Cotabato near General Santos City, on June 2, 1981. He developed an interest in art and a taste for figures and landscapes at a young age. Initially inspired by the classical masters like Da Vinci, Caravaggio, Waterhouse, Sargent, Monet, Dali, Luna, and Amorsolo. He moved to Manila after graduating from high school and started his career working as a full time visual artist, completely self-taught. In 2012, he was one of the seven selected artists who painted the Philippine Air Force Mural Painting that has now permanently displayed at the Philippine Air Force Museum in Pasay City. And just recently, Emmanuel Nim was one of the ten artists commissioned by the Erehwon Center For Arts to paint the controversial “PNP-SAF Fallen 44 Mural”.